I’m absurdly giddy about starting another contest in the knitting community tomorrow. 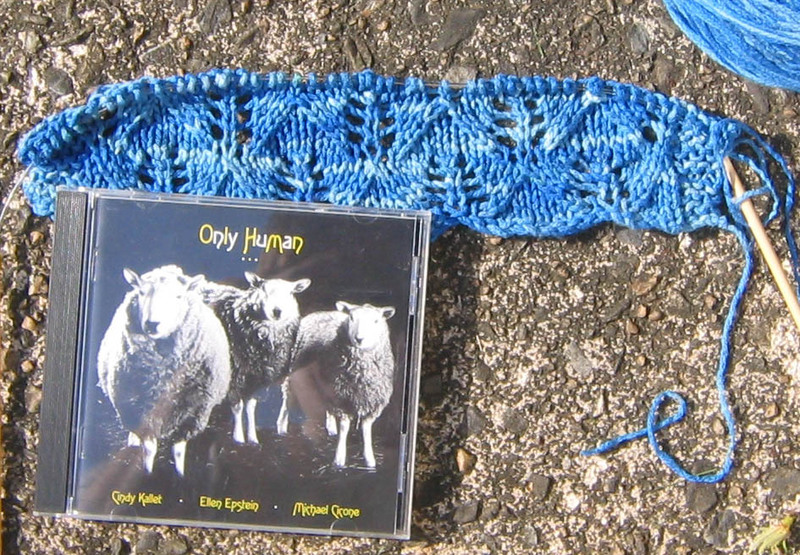 I’ve got the prize yarn picked out, but haven’t decided whether to do another poetry challenge or something else. I don’t want to do the same thing over and over, but it really was fun last time. Hm. Decisions, decisions. It’s a DR trader’s dream! I needs me some yak yarn!! Imaar compels me! Firefly fans, the Serenity trailer is up! Why you did it Your mother never understood youYour homeland was eaten by gerbillsTo meet your father’s unreasonable expectationsTo win your loves heartWhy not? One?? I’ve only managed to subvert ONE country? Stupid killer robots, always breakin’ down. What am I, Marvin the Paranoid Android? You scored as Suicide. Your death will be suicide. What more can I say? Fact: Suicide is a permanent solution to a temporary problem. And lo, from the soysilk of Tyrathia emerges a blue scarf. (CD for scale.) It’s posted actual size because I’m trying to decide whether it’s too wide or not. Hmm. By the way, “Lacey Funn” is totally going to be my stripper name if I ever have one. Just remembered, I never posted this here: a baby blanket for a very dear friend who is having a baby. Say it with me: Awwwww. 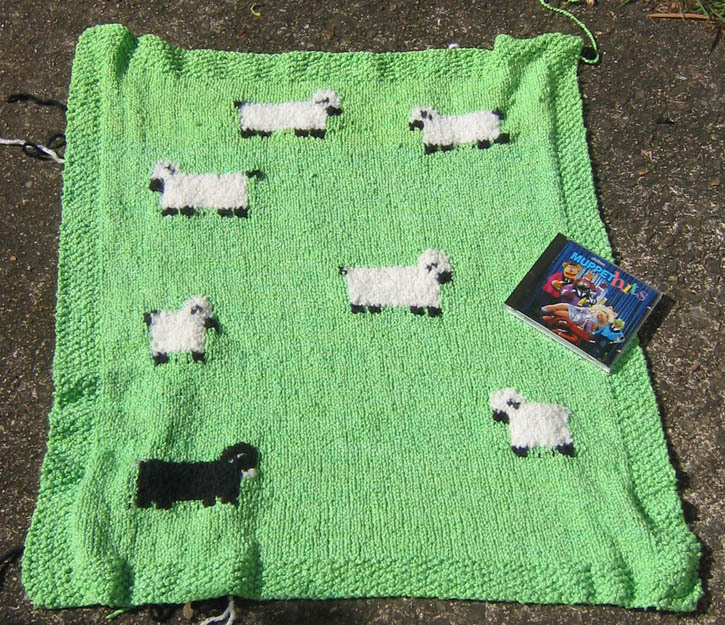 The pattern called for all the sheep to be the same, but I wanted them all different. My husband pointed out that the black sheep is off in its own little corner, like that section is blocked off for “undesirable sheep.” I told him not to read too much into it, it’s not a cultural statement. Besides, that’s where it is in the pattern. And they’re sheep, darnit, quit tweaking me! Baaaaaaa! 3. You will update your LJ with the answers to the questions and leave the answers as comments on my own journal.